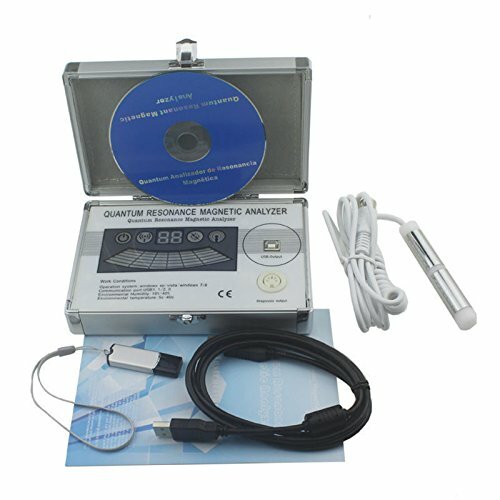 Your Health Status in ONE Minute with Hi-tech Quantum Analyzer.The method of quantum resonant magnetic analysis is an emerging rapid, accurate and non-invasive spectral testing method and particularly suitable for comparison of curative effects medicine and health products, and check of sub-health conditions. The magnetic resonance analyzer offers new advantages in the field of material analysis. It has been shown that the applicability of such an analyzer exceeds the range of tissue analysis and other medical applications. The magnetic resonance analyzer measures the degree and type of response of a matter under test, and by comparison with reference matter it assists in recognizing deviations from the desired response. The software interface has updated high technology that the operation is more convenient and faster. The Function, we have added with more the Comparative analyzer function . The situation of body health is different in different period, so we have comparative function with a personality. If you have any questions about this product by SGirl, contact us by completing and submitting the form below. If you are looking for a specif part number, please include it with your message.